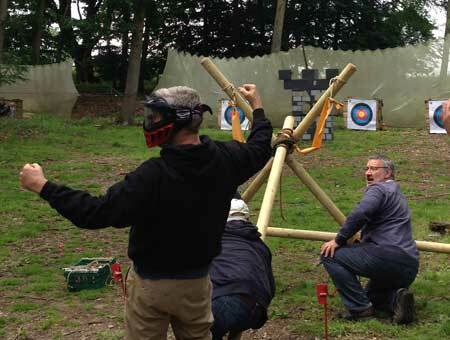 Our archery range is progressive and accommodates 14 people shooting on the line at any 1 time. We are very keen on keeping people fully active and shooting for the whole session time, no having to share your go. 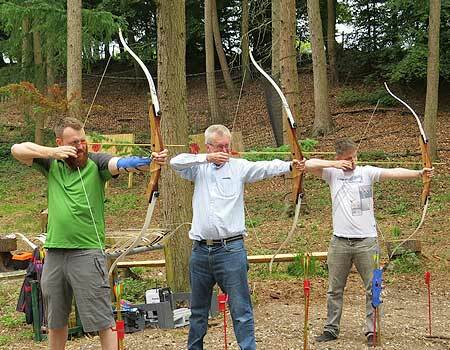 Increase distance, bow power, have a fun competition and shoot for balloons as your archery skills improve. 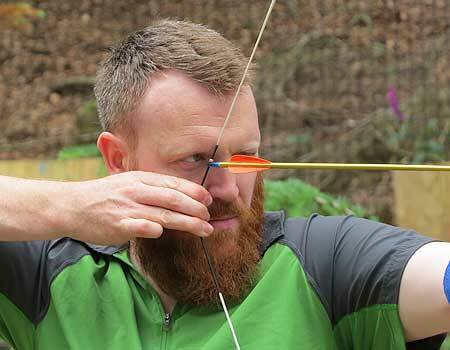 Our archery range is run by a professional ArcheryGB coach. Choose Your Location & Book Online Now! 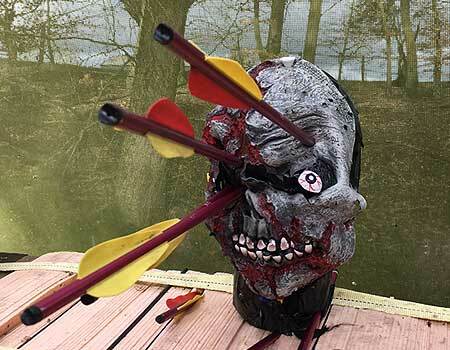 Fancy yourself as Daryl from the walking dead? 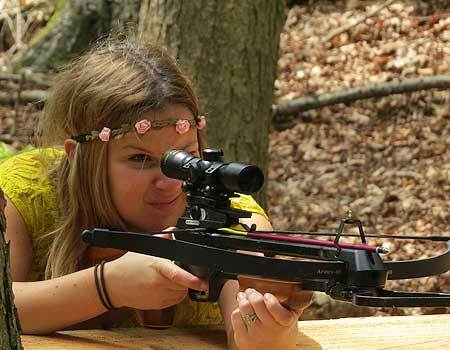 We also offer rifle Crossbows for ages 12+, a modern take on traditional archery. 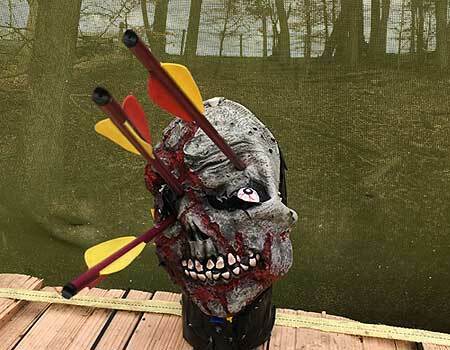 Powerful magnified rifle scopes will help you shoot for a zombies head at 25m! 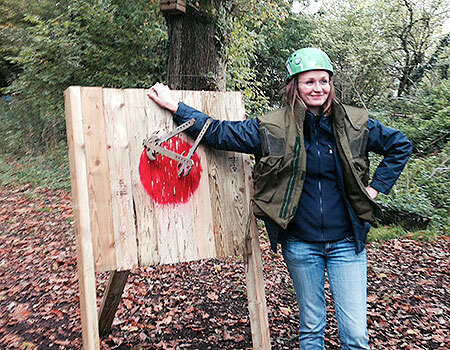 Axe Throwing is an engaging and exciting woodland activity. 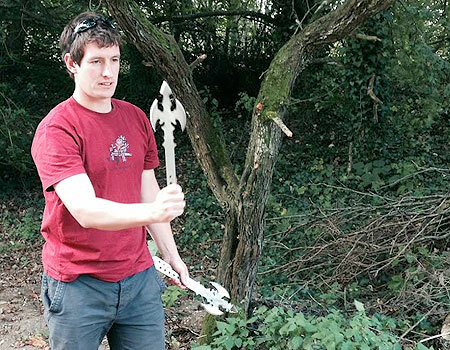 Our Axes are custom made in the New Forest, beware of imitations! They are truly unique and have been featured on Channel 4, see if you can challenge ‘Freddie Flintoffs’ record. 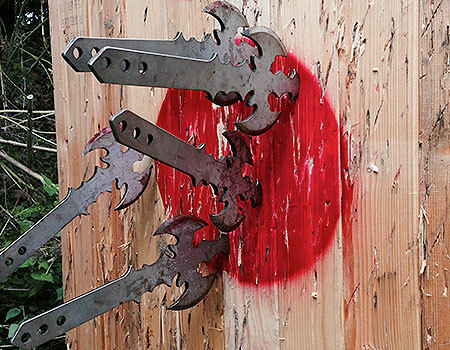 You’ll learn the proper technique – how to wield and ultimately throw the axe to hit a target. Connect with your inner warrior. Our axes have been custom designed and forged by a new forest blacksmith. 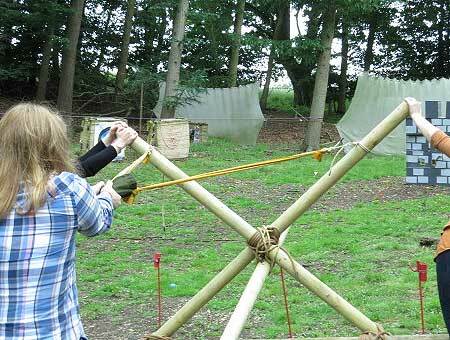 A safe and fun activity in the new forest and Dorset for all aged 12+. This practical session will be lead by an Insight Activities tutor. 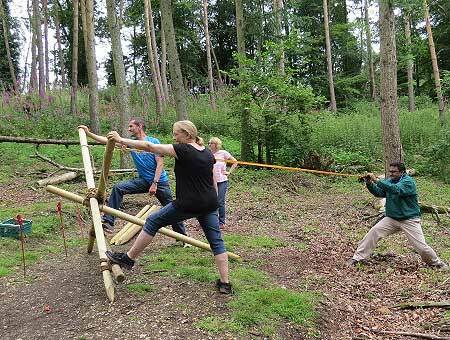 The aim of the session is for the group, or sub-groups to build their own giant ‘catapult’ with the purpose of shooting projectiles at a ‘Castle’ themed target. The group will be shown some suggested designs, construction and rope lashing techniques. Its then over to them to collectively decide on their design and construct their siege engine. Let the fun commence!